Culture Crunch is C&G's ongoing monthly internal event series, incubating the studio's mission: design for culture. For March, associate partner Leslie Dann and senior designer Ping Lim covered new thinking on immersive digital installations. 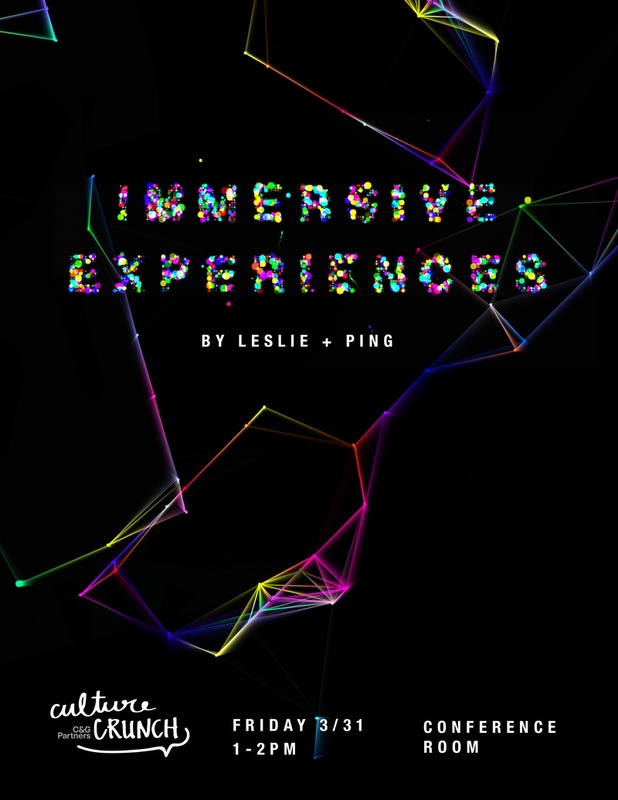 Leslie and Ping's presentation ranged from emodiversity and machine learning to UX design and interactive art — plus an unexpected, must-see live demo.